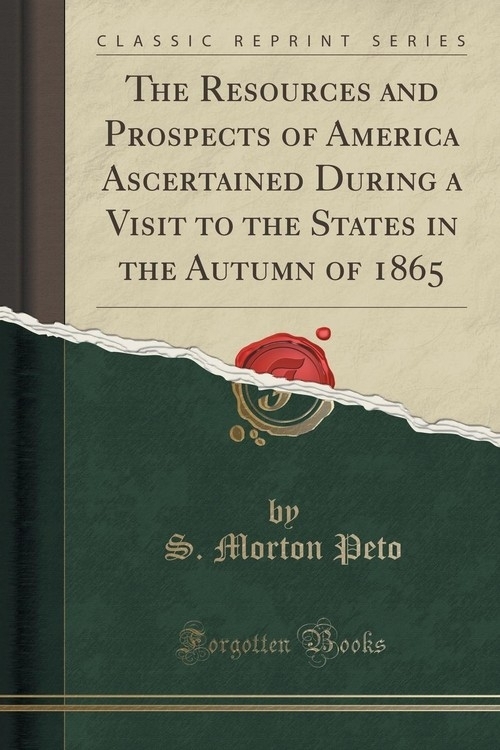 During my visit to America in 1865, a large number of volumes and other documents, abounding in statistical information relating to the resources and progress of the United States, were placed in my hands by members of several departments of the Government and other authorities. Some time after my return to England I was asked to read a paper on America to the Statistical Society of London; and having recourse to my books and papers with a view to such a compilation, I found that I had been placed in possession of a mass of information not generally accessible to the British public, and which appeared to afford valuable subjects for reflection. It was thus that the present volume arose.